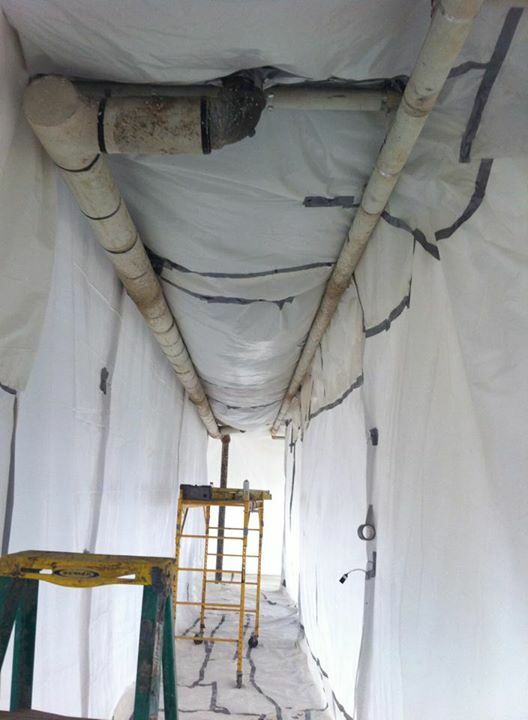 We offer complete solutions for residential & commercial hazardous asbestos removal. Asbestos disposal is a heavily regulated process with significant financial and legal consequences if not followed as required by law. Safe handling and disposal is crucial. Our experienced contractors ensure affordable and easy disposal methods while de-contaminating the remaining fibers other contractors usually leave behind. For the sake of your health and that of the general public, contact our team of professionals for asbestos removal and disposal. Don't subject your family to unknown or potentially unsafe building materials. The disposal team at Eaddy Environmental will work with you to schedule the procedure at the most convent time. It's been a few decades now since the world found out about how terrible asbestos can be for the human body. You'd be surprised how often we still find it in people's homes and offices though. If you've got asbestos on your property, then give us a call and we can have it removed in no time. We're a fully insures, licensed, and certified business, and our services are guaranteed to be thorough, accurate and professional. The only way to find out is to have a sample of your inner insulation removed and examined by trained professionals. If you know that but you're just looking for the right team, then speak with us. We'll take care of you. Many buildings used to contain asbestos until it was banned in 1978. These were used in spray-applied flame retardant, thermal system insulation, and in a variety of other materials. Asbestos was grouped together above false ceilings, inside technical ducts, and in many other small spaces, unfortunately making it difficult for firefighters to gain access. Structural components like asbestos panels were also used. In residences, asbestos was often a component of a type of flocked acoustic ceiling called popcorn ceiling or cottage cheese ceiling. Eventually asbestos was banned in the United States in 1978, but that ban allowed contractors to exhaust their remaining supplies. That means that some buildings constructed as late as 1986 could be filled to the brim with this dangerous material. The moral of this story is, just because you've been told that you don't have asbestos, doesn't necessarily mean you don't.